For those who wish to go beyond recreational diving and learn to handle diving emergencies! The PADI Rescue Diver Course is aimed for people age 12 and up. Some serious fun! This course is designed to expand your knowledge and experience beyond a purely recreational level. Although great fun, the course is quite serious in nature and context, enabling divers to effectively perform rescues and assists, manage emergency situations and give proper first aid. A valid CPR/ First Aid certificate is mandatory to begin the PADI Rescue Course. 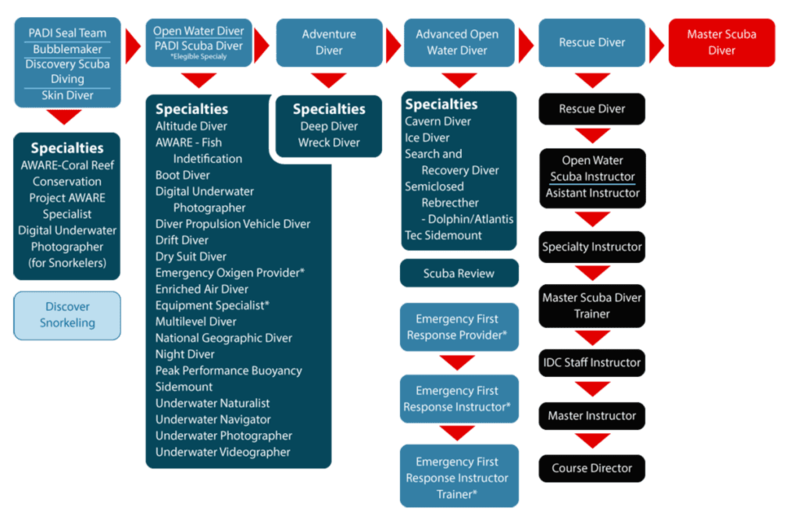 Schedule: The PADI Rescue Diver course is conducted over 2 days. Both days will start at around 8am and finish around 4pm. Includes: All theory and training dives with a PADI Instructor PADI, Rescue Diver Manual, PADI certification, and full equipment rental. Ceningan Divers is fully committed to your safety. We conduct our courses following the highest PADI Standards. Our instructors are all certified PADI Master Scuba Diver Trainers or PADI Master Instructors. Ceningan Divers is a 100% AWARE Partner we are committed to protecting our ocean planet. Why is PADI the most popular scuba diving credentials in the world? Enjoy world-class scuba diving training with experienced PADI instructors using well maintained, quality rental dive gear from Aqua Lung. We follow the highest international safety and training standards. Our courses are conducted in small groups by attentive, dedicated and passionate mentors. When you enrol in your PADI diving courses, we register you with PADI, each student receive a digital copy of the PADI course manual. As part of our safety commitment, we provide you with a free Suunto dive computer rental for the duration of your course. During your course, we will provide you with a copy of the PADI course manual and you will have access to our PADI library. We have a free flow drink station at our resort. We serve tea/coffee, water and healthy snacks on our boats. Diver's Lunch is included on any course conducted over a day or longer. Ceningan Divers is an Aqua Lung Partner Centre. We provide you with a full set of dive gear including a Surface Marker and whistle for your entire course. Our team is committed to providing you with one on one mentorship during your course. Our instructors will give you the attention you need to succeed. Save time on your holiday! Purchase your PADI eLearning course and complete the classroom portion at your own pace –anytime, anywhere. *Please make sure you are registering with Ceningan Divers/24780"
You must be in good physical condition to dive. At the start of the course, every student must complete and sign a PADI Medical Statement, which includes a number of questions relating to your medical history.Please answer each question carefully. If you answer any of the question with a "yes", you will be required to visit your doctor for a medical examination. Please take the statement with you to show him/her*. The doctor will decide if you are clear for diving and sign the form if he/she agrees that you are not at risk. Sign up for your Lembongan PADI Rescue Diver Course today. Soon you will be learn to become a better buddy by practicing problem solving skills safely with one of our instructors at Ceningan Divers, PADI 5 Star Dive Resort.